Millions of people suffer from headaches everyday, without any idea of what is causing them. We endure countless medical tests and experiment with costly and dangerous drugs in a futile effort to avoid these debilitating headaches. All the while we are losing valuable days of our lives, time with our families, and advancement in our careers. I am here to offer you a completely natural and over 99% effective cure that less than 1 out of 10 Americans have heard of. Removing nerve system damage from your spine is essential in the treatment of headaches, be they migraine, stress, sinus, or any other label your MD gives with the obvious exception of cancerous. If you have endured all the medical diagnostic tests and pills and still suffer from headaches you owe it to yourself, your family, and your employer to look elsewhere for a cure. Perhaps surprisingly, Doctors of Chiropractic have been finding and eliminating the cause of headaches for over 100 years without drugs, surgeries, or complications, and unfortunately up until now, without you even being told about it. Think about it for a minute and decide for yourself. If a nerve from your low back can cause excruciating pain into your leg or even your foot, could a nerve from your neck also case pain in your head? One quick glance at any simple anatomy chart of our nervous system will give you the answer. We have nerves going to every part (organ, tissue, and cell) in our bodies. Damage of these nerves in our spine can and will cause pain in the parts of our body that these nerves go to. This does not require any advanced form of thinking. It is quite straightforward and better yet, it doesn't require even one pill. So if you are ready for a refreshing new way to look at your health and restore your God given healing potential, make your appointment today! Mention the friend who gave you this information and your first visit is only $29.99. From the August 3, 2003 issue of the peer-reviewed scientific journal, The Journal of Vertebral Subluxation Research, comes a case study of a 35-year-old female who presented with chronic daily tension and migraine headaches. The journal article followed a patient's history of headaches. A professional ice skater, sustained a concussion by hitting her head against the ice at age 23. Prior to the accident, she had no health problems or headaches. Following the concussion, tension and migraine headaches started. These symptoms persisted over the next twelve years, during which time the patient utilized daily pain medications. At age 35 the woman started chiropractic care. Initial examination revealed presence of subluxations in her neck causing nerve interference. Chiropractic adjustments were then begun. The results for this patient were life changing. Evaluation of the patient's condition occurred by doctor's observation, patient's subjective description of symptoms, and thermo graphic scans. The results showed that all headaches were gone following three months of care. At the conclusion of her case at one year, all symptoms remained absent. The researchers concluded this study, built on previous studies that had similar results. "There have now been several studies demonstrating significant improvement in headaches or migraines after chiropractic." 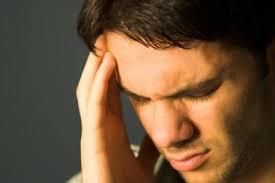 The Migraine Foundation of Australia estimates that some 12% of Australians ages 15 and over, experience migraines. Chronic sinus infections are common. I remember my mother having chronic sinus infections when I was little to the point where she would have her head x-rayed. When my children were little, they would get sinus or ear infections almost every month, especially in winter. They were on antibiotics almost as much as they were off of them. We stopped getting as many infections, and stepped off the antibiotic treadmill, when we went to the Chiropractor. From www.drgreeen.com: "202 out of the 210 people with chronic sinus infections studied had fungus in the mucus. The seemingly interminable congestion was an immune response to the fungus! Antibiotics make fungal infections worse." From the Mayo clinic: Studies at Mayo Clinic have found links between certain fungi and recurrent sinus infections. In fact, over 90% of sinus infections are now thought to be fungal infections. Knowing what we know now, it is no wonder that we never really completely recover from sinus infections until we address the underlying cause - a fungal infection. The antibiotics most often given is Amoxicillin, made from penicillin - a mold. So for many years and some doctors even to this day (six years later) are giving us prescription doses of mold (mold is a subset of fungi) when most likely the root cause of your problem is actually a fungus infection. Antifungal applications are available at most health food stores and at Festa Chiropractic in New Kensington, PA (www.ADIOhealth.com). The definition of sinusitis is "inflammation" (itis) of the "sinus". This can be caused by the inflammation of the nerve that travels to the sinus. If this is the case, as it often is, chiropractic alleviation of the pressure on that nerve safely and effectively reduces not only the inflammation on the nerve, but in the sinus cavities as well. See your local Doctor of Chiropractic for safe, natural and effective alternatives. This is for all those people out there who feel the same way Idid about chiropractors. You know who you are, the skeptics, the non-believers and also you scardy cats; here's my story. For almost 10 years I suffered with back pain and sever migraines. And for those of you, who don't think a headache can take over your life, just ask my family. We've had to cancel family outings, dinners, and just everyday thingsbecause I would be in so much pain. I ate so many aspirin, sometimes 12 or 16 a day. My husband came home one day and said he made me an appointment to see Dr. Festa, a chiropractor. Needless to say I was scared to death to go, but I went. I'm sure glad I did, it's only been about 2 weeks and the difference in how I feel is amazing to me. I've been aspirin free since I started my treatment. Dr. Festa, I thank you and my family thanks you!! On September 1st of this year, I was lifting the corner of a 60-pound box onto a skid. When I turned my head there was an instant burning sensation in the back of my head, and the right side of my neck and shoulder. The burning in my neck got so bad at times that I could barely function. For three and a half months I had continuous headaches and soreness in the neck area. I had to go to the company doctor for three months before I could see a doctor of my choice. The company doctor said it was a "cervical strain". He prescribed physical therapy, muscle relaxers, and anit-inflammatories. He also recommended that I take aspirin, then Advil, then Aleve, and then a prescription for a stronger dose of Aleve. None of these worked, they only upset my stomach. The muscle relaxer, which I only took on the weekends, made me sleep all day, but it kept me pain free for the weekend. The physical therapy worked to some degree, more so in the beginning. But at the end it only relieved the pain and soreness for maybe a day after. The headaches and the burning were still there. They did a MRI, which the doctor said there was nothing unusual, just the normal wear and tear on my spine. He sent me to an orthopedic doctor who gave me a neck collar and sent me back to physical therapy. During the treatment both doctors had told me to live with it and take "mega doses" of Aleve of Advil. During the course of this all I had asked to see a chiropractor and my request was denied. Three and a half months have passed and I'm finally able to choose my own doctor. Some one I work with had told me to try a chiropractor and recommended Dr. Festa. I called for an evaluation, Dr. Festa examined me and x-rayed my neck and spine and said that he could help me. The day after my evaluation I had my first adjustment. Since that day I have had no burning in my head at all. Very few headaches (only lasting 10-15 minutes), and hardly any neck pain. Dr. Festa told me that it would take some time to get back to normal again. Also, an added bonus is that since my first adjustment I have been able to have normal bowel movements everyday with out taking any kind of laxatives. How much workers compensation money do you think could have been saved if she would have just seen a Doctor of Chiropractic first? Add our office to your companies physicians list immediately to save costs.